Our culinary trail kicks off in the city of Belfast, winds through the gastronomic heartlands of County Down and the orchard heaven of County Armagh, before exploring the lakelands of County Fermanagh and tranquil County Tyrone. 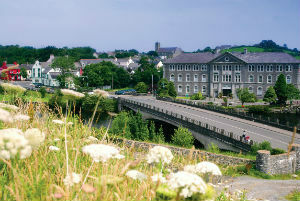 We’ll dip into Derry~Londonderry city before tracing the Causeway Coastal Route along Antrim's coast and back to Belfast. Starting in Belfast, this tasty tour brings you through some of the most beautiful scenery the island has to offer with top gourmet stops along the way. 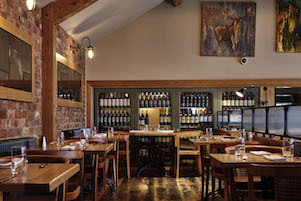 Eating out in Belfast is an exciting mix of homegrown flavors, modern techniques and the best local produce, with a restaurant scene that takes in everything from the Michelin-starred Eipic and Ox to the downhome tastes of Long's Fish and Chips. 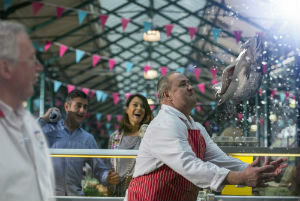 Get to know the secret delis and traditional pubs of this vibrant city on the Belfast Food Tour, enjoy a sumptuous Afternoon Tea at Titanic Belfast on a Sunday, or pop into the weekend food market at the 19th century St George's Market. Either way, stay a while – your tastebuds will thank you for it. Even if you don’t stay at The Merchant Hotel, you’ll want to sample at least one creation from its famous cocktail list. From urban buzz to rural bliss next at The Poacher's Pocket, an award-winning gastro-pub and a great place to refuel before exploring the local area. 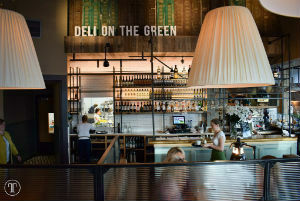 The old-fashioned front bar has retained its traditional charm but the dining area boasts an effortless style, and is the perfect backdrop for dishes that make the most of the excellent local produce. Comber, where the pub is located, is also famous for its Comber Early Potatoes, which have European Protected Geographical Indication and are prized for their nutty flavor. While you’re here, head to nearby Strangford Lough, a haven of wildlife and the largest sea lough in the British Isles. Studded with 100 islands, the lough boasts numerous walking trails, including the Castle Espie Woodland Trail with a mix of estuary views, salt marshes and Ireland’s largest collection of native and exotic water-birds. Call in at the Old Post Office Tea Rooms in Lisbane for delicious homebaked scones, pastries and pie. A great little find. 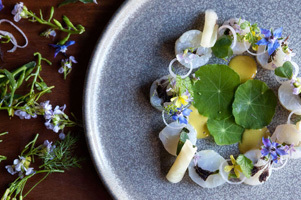 Chef Danny Millar is the star of the show at Balloo House, a 400-year-old inn that offers two distinct dining experiences, with a fine dining restaurant above and a relaxed bistro below. 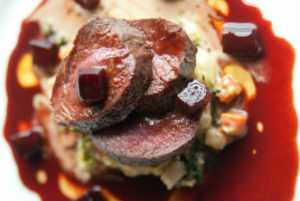 Focusing strongly on local and seasonal produce, Millar crafts dishes such as venison liver, with creamy mash, crispy onions, bacon and red wine jus, as well as Northern Ireland’s highly regarded Himalayan salt-chamber aged beef from Hannan’s. It's worth staying overnight at the Mill House B&B – from here you can enjoy more of the County Down countryside including scenic walks and panoramic views of Strangford Lough. Home cooks inspired by the sea air can book a hands-on class at Mourne Seafood Cookery School in the fishing port of Kilkeel. 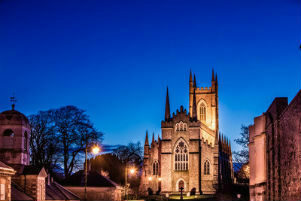 Heading south through the town of Downpatrick, where the mortal remains of St Patrick are said to lie within Down Cathedral, you'll reach the village of Dundrum. Beautifully situated on the edge of Dundrum Bay and backed by the moody Mourne Mountains, the go-to eatery here is most definitely the Mourne Seafood Bar, which uses impeccably fresh seafood from local ports and their own shellfish beds. The area is a heartland of quality food from artisan honey to the super-creamy Abernethy Butter, used in some of the world's top restaurants. 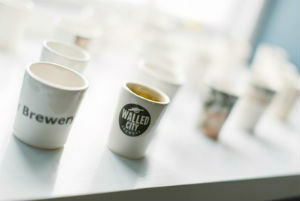 To find out more, why not take the Mourne Foods & Films Cycle Tour, which leaves from the nearby town of Newcastle. Highlighting the link between a heather-rich land and delicious local produce, the tour takes you through the valley's filming locations for Philomena, Game of Thrones, The Fall and Dracula Untold. Pop into the Anchor Bar in Newcastle for high-grade pub grub and local craft beers. Nestled into the lush surrounds of the Shimna Valley, the Enniskeen Country House Hotel boasts almost impossibly beautiful views over the peak of Slieve Donard and out to the Irish Sea. There couldn't possibly be a better location for a sumptuous afternoon tea than within the elegant old-world dining room here. Developed to celebrate the very best local produce, the Mourne Honey Afternoon Tea is an indulgent delight showcasing tasty treats, including Mourne Honey-baked Armagh ham sandwiches, traditional Irish tea brack with Abernethy butter and Mourne Honey and strawberry Victoria sponge. Detour to Moira on your way back from Belfast – a small village with a big gourmet heart and home of some of the best artisan meats in Northern Ireland. If there is a better way to start the day than with a breakfast at Armagh's Newforge House we've yet to hear it. This gorgeous family-run country house puts on a legendary spread with an Ulster Fry laden with Moyallan dry-cured bacon, Madden's award-winning sausages and freshly-laid eggs from chickens that roam the orchard. After that, spend your day exploring beautiful Lurgan Park or birdwatching around Lough Neagh, before heading back to Newforge for a sumptuous three-course seasonal dinner. County Armagh is famous for its delicious Bramley apple and in September the Armagh Food and Cider Festival celebrates the harvest with a packed programme of events, including foraged lunches, artisan markets and orchard tours. To get a great flavor of the lush landscapes of County Tyrone, set your course for Dungannon's Deli on the Green, a perfect stop for lunch. Located in Beechvalley, Dungannon, this part-deli, part-bistro is a fine place to sample a salad of Fivemiletown Creamery’s Goat’s Cheese, served with pickled carrot, orange and candied walnuts. Delicious. It's hard not to love the quirk and eccentricity of Tomney's pub in Moy, County Tyrone. 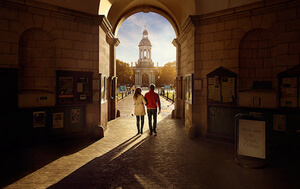 In the same family for 300 years, it's warm, welcoming and unforgettable. If you're of the belief that beautiful landscapes inspire beautiful cookery, then make your way to Belle Isle. Surrounded by the lakeland landscapes of County Fermanagh, which produce some of the best dairy on the island, Belle Isle Cookery School sits on the edge of Lough Fyne. It's really a sublime destination, a place to relax and hone your cookery skills with both private cookery classes and general cookery courses. Detour south to the Watermill Lodge, a lovely restaurant and guest house in the heart of the lakelands. 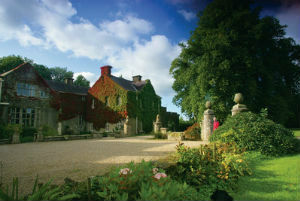 Perfectly placed for exploring some of the area's top attractions including the Marble Arch Caves, Florence Court and Castle Coole House, the Lough Erne Resort is one of Northern Ireland's most luxurious retreats. And, naturally, the food here is of the highest possible quality. Chef Noel McMeel is devoted to using the very best local produce and has cooked for some of the world's most discerning diners. At the Catalina Restaurant, you can find dishes of the very highest standard with local superstar-produce on the menu, including Baronscourt Venison, Thornhill Duck and Keenan Seafood. Head to the delightful town of Enniskillen and enjoy a relaxed lunch under the stone-vaulted ceilings of Café Merlot in Blakes of the Hollow. Its locally sourced dishes are delicious. Belleek might be famed for its pottery but it's loved locally for The Thatch, a recently re-thatched coffee shop where you can pick up everything from home-baked goodies to fishing tackle (why not try catching some Lough Erne brown trout?). Set within a charming 18th century cottage, it's the perfect place to cozy up with tea and fluffy scones. Afterwards, take a tour of the historic Belleek Visitor Centre, which brings you through the craft and production of one of the oldest working potteries in the world. Winners of a 2016 Great Taste Award for their wild venison French rack, Baronscourt Estate rears the crème de la crème of wild game. You'll find their produce on menus all over Northern Ireland, but if you're in the area, why not opt for a self-catering stay on the magnificent estate. Close to the northwestern shore of beautiful Lough Neagh, you'll find the small village of Castledawson. At 3am every morning, while most of the village sleeps, Ditty's Home Bakery is a hive of activity, with bakers getting the store's soda farls, potato and wheaten breads ready for the day. This beloved bakery is also the source of some of the island’s best oatcake biscuits (perfect with Irish cheese) as well as wee buns and scones – the ideal accompaniment to a cup of tea. 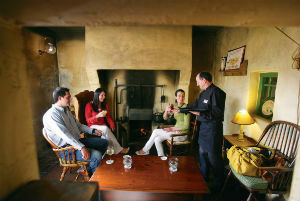 Try the Old Thatch Inn pub in Castledawson. It's one of the oldest pubs in Northern ireland, and a real gem. 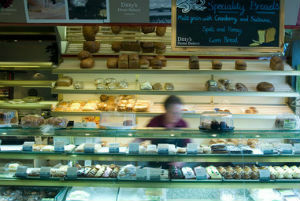 Heading into Derry~Londonderry, a whole host of culinary treats await. There's glamorous fine dining at Browns Restaurant and Champagne Lounge, creative locally inspired pintxos at the Walled City Brewery (North Derry Salami empanadas, anyone?) 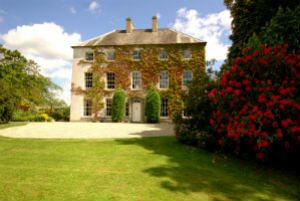 or seasonal cooking at Beech Hill Country House Hotel. Browse the city's weekly and monthly food markets for tasty delights such as Dart Mountain Cheese, Flossie’s Fudge or turf-smoked salmon, or sit and relax with a glass of local craft beer in one of the city's great traditional pubs. Enjoy a lunch of locally reared Glebe Wagyu beef from Pykes ’N’ Pommes food truck looking out towards Lough Foyle. 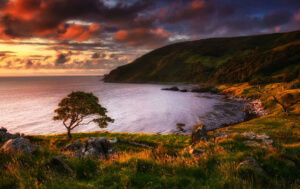 Sample world-class seafood beneath soaring cliffs, test out one of Ireland's most iconic drinks and taste meals inspired by legends... this is Northern Ireland at its culinary finest. Next up, the Causeway Coast, which weaves from Derry~Londonderry to Belfast, passing by Mussenden Temple, the Giant's Causeway and the Carrick-a-Rede rope bridge. 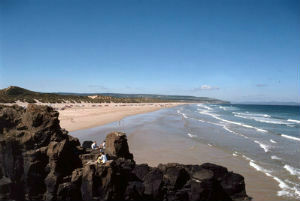 It's also home to some truly great places to eat - the first of which is Harry's Shack on Portstewart Strand. Chef Derek Creagh and restaurateur Donal Doherty have been making international waves from this sand-strewn beach shack, serving masterful seaside fare, including fish fresh off the Greencastle boats and vegetables from their walled garden on the Inishowen Peninsula in next door Donegal. No wonder some of the accolades it has picked up include Ireland's Restaurant of the Year. Lost & Found in Coleraine is a delightful stop-off for a breakfast of eggs Benedict or a lunch of beef hotpot. 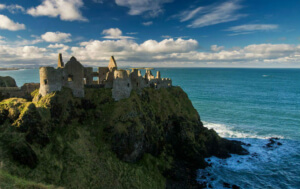 Along the coast, past Dunluce Castle, you'll find the very charming village of Bushmills. Here, a visit to the Old Bushmills Distillery is a must. It's Ireland's oldest working distillery and the guided tour will whisk you through the workings of the distillery before a "wee dram" in the 1608 bar. Enjoy dinner in The Bushmills Inn’s AA Rosette restaurant afterwards, or explore Bushmills' French links with a quirky and casual meal at The French Rooms. 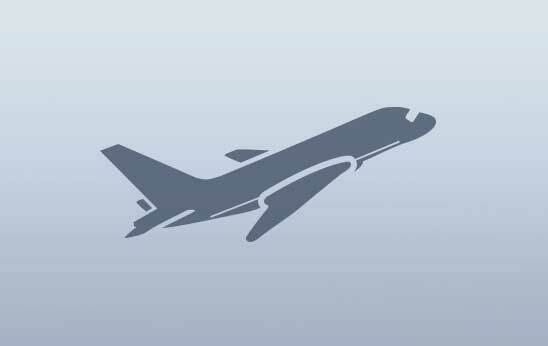 Its ties to our Gallic neighbours date back to the 17th century when the Huguenots decided to settle in the town. 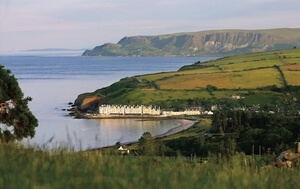 Embark on a food tour along the Causeway Coastal Route with Toast the Coast Food Tours, and enjoy taste sensations spanning from Whitehead to Cushendun. 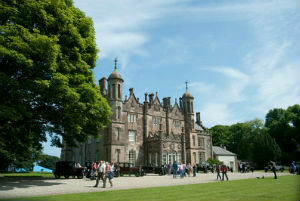 Glenarm Castle has been in the McDonnell family since 1636. 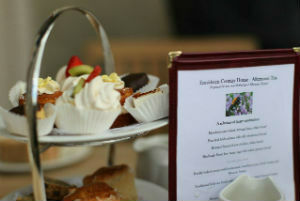 The tea rooms overlook the kitchen garden and serve Glenarm Organic Salmon from the nearby salmon beds. 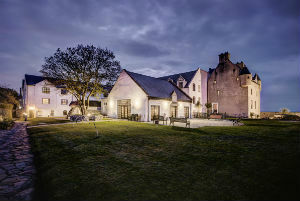 Glenarm Castle estate also produces Glenarm Shorthorn Beef, which is aged in Peter Hannan’s purpose-built Himalayan salt chambers in Moira, County Down, before appearing on some of the region’s best menus. 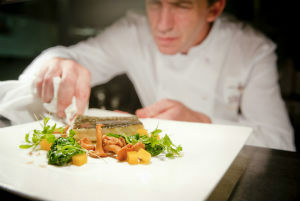 The nearby resort of Galgorm is home to the River Room restaurant, which boasts 3 AA Rosettes for culinary excellence. Heading on from here to Ballygally, make a date with Ballygally Castle Hotel’s afternoon tea, inspired by the fact that HBO’s Game of Thrones® was filmed nearby. Where else can you feast on Dothraki Trifle with mini Dragon’s Eggs? Overnight guests can enjoy the hotel’s focus on local produce at breakfast, which includes Clandeboye Estate yoghurts produced with milk from Holstein and Jersey cows. Oh, and did we mention the hotel has a resident ghost? The Ghost of Ballygally has been around for the best part of 400 years, but Lady Isabella Shaw is reputedly a friendly spirit! Get a workout before indulging with a stroll along The Gobbins, a wonderful cliff-path walk on Islandmagee. 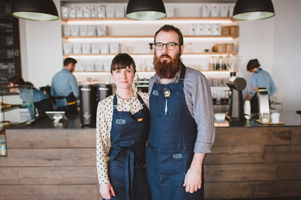 Get stuck in to the emerging food scene in this buzzing capital. These are the stories of Ireland's most famous drinks. 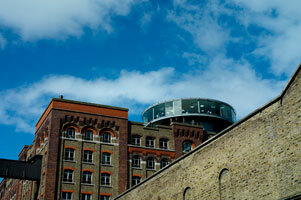 Sample the culinary delights of Ireland's southern gem.